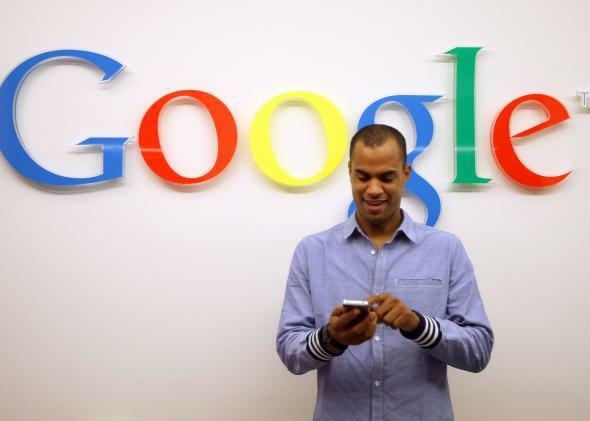 Wall Street Journal says Google's wireless service is launching. Would you ditch one of the big players for Google wireless? Google’s plan to offer a new type of wireless service has got to sound appealing to anyone shelling out hundreds or thousands per year on mobile phone costs. Details on the project have been scarce so far, but the company confirmed in March that it was moving forward. Now sources tell the Wall Street Journal that the launch is imminent. The report indicates that the service could debut Wednesday. It seems like it will allow customers to pay for only the mobile data they use. Currently, the big four wireless companies rely on their old voice-and-text networks to make a lot of their money. They charge for unlimited talk and text (or whatever allotment you want) in addition to charging for data by the gigabyte. But if Google can change the equation so that almost everything runs over data networks (the company’s Google Fiber program is well-known for bringing ultra-high-speed Internet to cities across the United States), it could fundamentally change pricing for wireless service. The Journal reports that Google will use Sprint and T-Mobile’s networks to provide supplementary services over traditional cell networks. Sundar Pichai, who oversees Android at Google, said in March that the service will be operating on a small scale, and isn’t intended to take on the whole wireless industry. But this is Google, so that’s kind of hard to believe. Update, April 22, 2015, 3 p.m.: It’s official. Google’s Project Fi will cost $20 a month for voice, texting, and even international coverage in more than 120 countries. Then for mobile data, each gigabyte customers add to their plans will cost $10. But if people don’t use all of the data they buy they will get credited for the difference on each bill. Google is going to rely on Wi-Fi whenever possible to reduce network costs, but the service can use Sprint and T-Mobile’s networks when needed. Project Fi will only be available for Google’s Nexus 6 handsets at first.